Heeft u een vraag voor OYO 339 Victory Exclusive Hotel? Het aanbieden van kwaliteitsaccommodatie in winkelen, restaurants, nachtleven district in Kuala Lumpur is populair voor zowel zakelijke reizigers als toeristen. Het levendige stadscentrum is slechts 5.5 km verwijderd. Dankzij de praktische ligging, biedt de accommodatie eenvoudig toegang tot alle belangrijke trekpleisters van de stad. 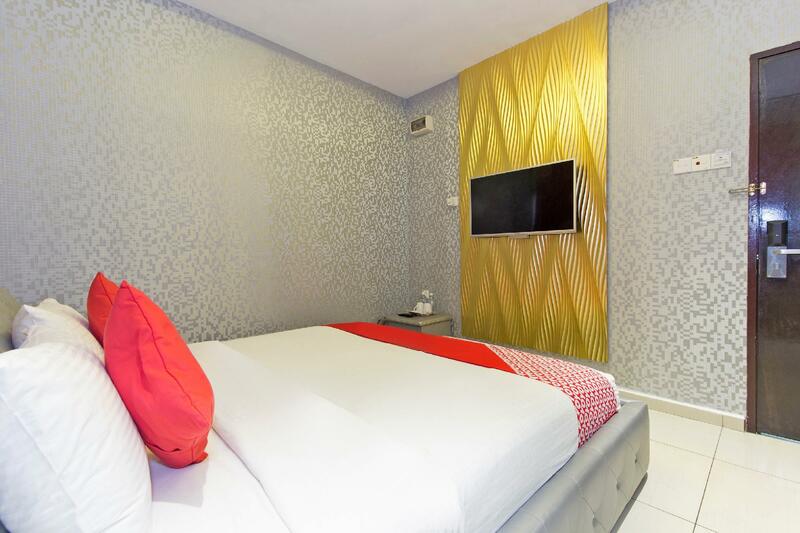 Victory Exclusive Hotel at Bukit Bintang biedt gasten superieure services, plus een breed scala aan voorzieningen, en is toegewijd om uw verblijf zo comfortabel mogelijk te maken. Voor het comfort en gemak van haar gasten biedt de accommodatie 24-uur roomservice, gratis wi-fi in alle kamers, dagelijkse schoonmaak, taxi service, 24-uur beveiliging. Ervaar kamerfaciliteiten van hoge kwaliteit, inclusief plasma tv, extra badkamer, oploskoffie, thee, locker, om na een lange dag tot rust te komen. De accommodatie biedt talrijke recreatieve mogelijkheden, zodat u voldoende te doen heeft tijdens uw verblijf . 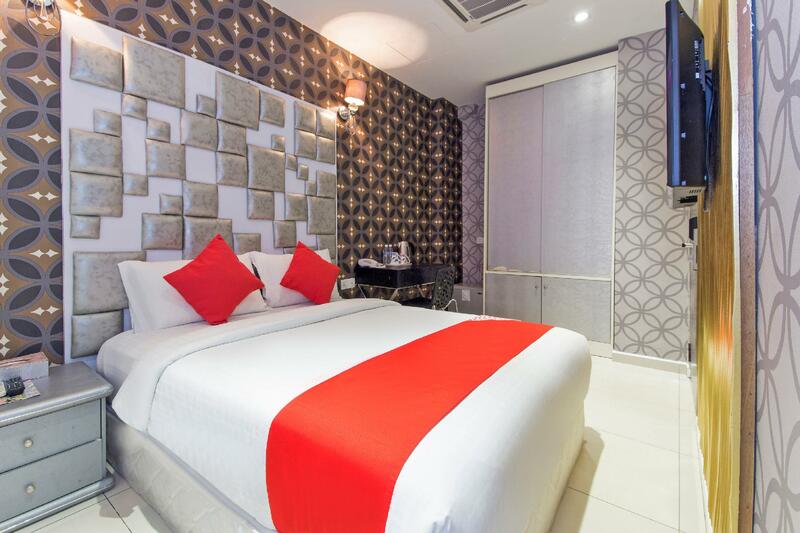 Ontdek een boeiende mix van professionele service en een breed scala aan voorzieningen in Victory Exclusive Hotel at Bukit Bintang. The location is excellent very near to convenient store, pavilion mall, Fahrenheit only about 50m with large king size beautiful bed but unfortunately i did not get what i paid for, i was not satisfied with the condition of the room, it was not clean, bathroom bidet stained was not clean properly, the jacuzzi bath tud didn't work properly, hair dryer was not working. I paid for the suite room but i only get the standard room benefit. There was no shower so I had to use the water hose from the bath tub. The hanger rack in the toilet was faulty so cant hang anything in there except my thoughts. The aircond couldve been a bit cooler as well as it can be quite warm during the day. Other than is amazing especially the front desk staffs and location. 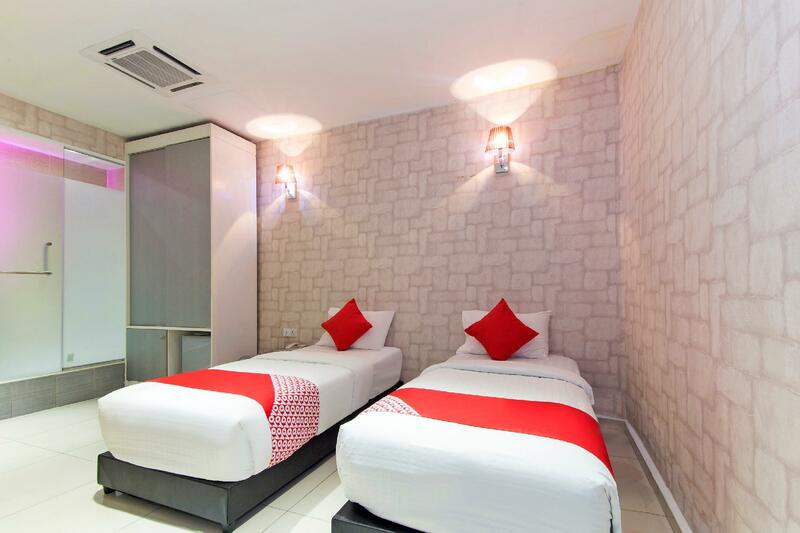 good location nearby to all the main shoping mall in Bukit Bintang. small but clean. provided with kettle and but no tea sugar coffee or watever provided. u can get it from the nearby seven eleven. there is parking available but u need to pay 15 ringgit per entry and 40 ringgit if u want to park whole day. better to park elsewhere. i stay here for the price,location and the room itself. Absolutely will not choose this hotel again as most of the necessary items are not well prepared before guest checked in . There’s no mineral water, no tissue, no towel to prepare before guest checked in ? but we have to self go to counter and ask for it . There are heater provided in the bathroom but it is not function as well . The Receiptionist, Philipine Woman was so rude. All the staff said that. So rude! Very Rude!!!!!! The other receptionist Malaysian Chinese Guy also didn't help much. Our rooms (3 rooms) didn't ready until 8pm. We already there from 2pm, we go out and back at 6pm and our room did not ready. We all sitting on the floor for 2 hours waiting. The picture was good.. But...The Bed is hard. Room is too small. The Bathroom has a strange design. I swear 🤣🤣🤣 We always ended up in fight with the philipino woman. She said she doesn't care if i give one star. She never say sorry. She is crazy, rude, no hospitality at all. Ewhhh. I don't want remember anything here. So badddd Oh, about the location. I always use grab apps to hailing a taxi, but the driver always found a difficulty to find the hotel 😂 🤣 🤣 🤣. The property is in an ideal location, one block from the Pavilion KL. It’s quiet after the crowds go home at night and it’s also less than 500 feet from the train/tram stations. However, the rooms could use updating. The bathtub has black mold in the caulking, the toilet seat is dirty and filthy, the towels are not white, the bedsheets have blood stains, the desk with the table was always covered in ants. The doors have a large gap at the bottom so I was worried about critters entering the room at night. Housekeeping does a fantastic job keeping the rooms neat and in order, but the owners could invest more into the property. Basic hotel with lift, wifi, hot shower & bottled water given. 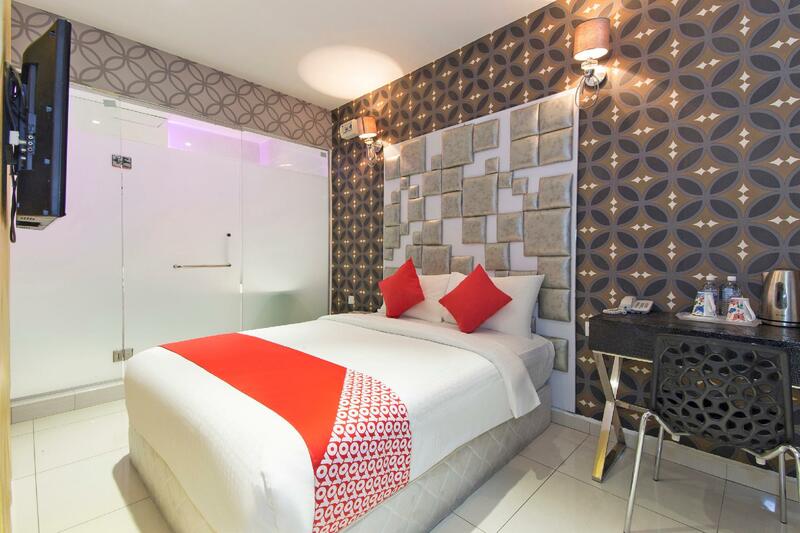 Just beside Fahrenheit 88.. walking distance to Bukit Bintang/Pavi shopping area. Public parking quite limited but easy access via bus/taxi/MRT. For the price paid, I'm quite satisfied. 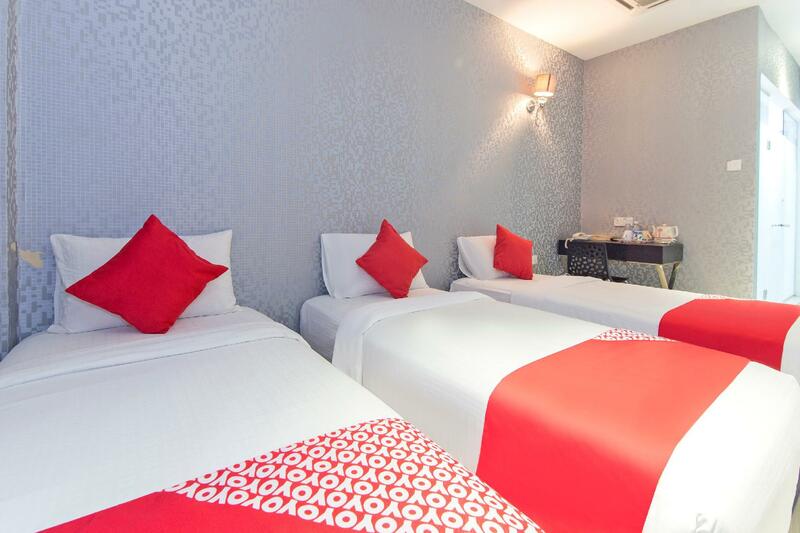 The hotel is very near to MRT, Monorail, Pavillion and other shopping malls. 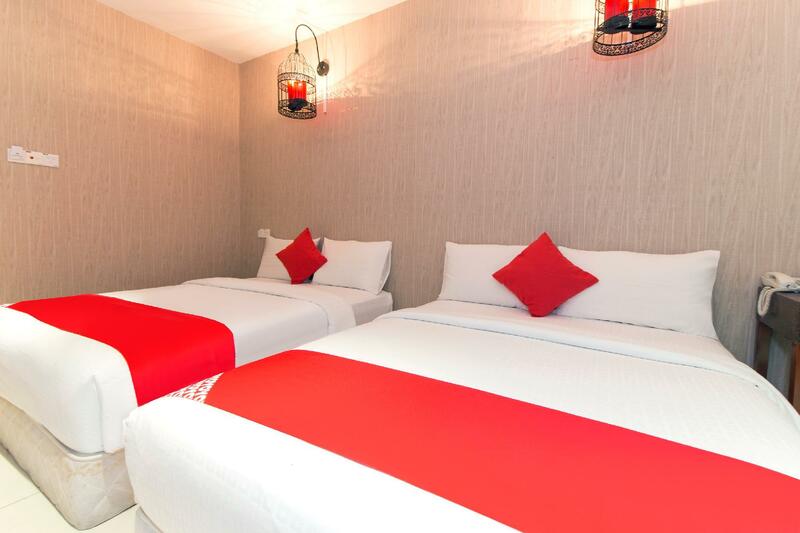 Very convenient for those who want to stay one night there. The staff are very friendly. They allowed us to keep our luggage after we check out. The room is clean. Clean room is very important. When check in , I saw three of small cockroaches, then every time bck to room, a lot of smaller cockroaches came out again, uncomfortable mattress, toilet bowl dirty..
1. stayed for 3 days and couldn't drink any cold water bcoz the refrigerator wasn't working, after complaining for n number of times, they changed it and even the other one wasn't working and then nothing was done as they said most of the machines are not working 2. They charged me extra 30 RM for washing bedsheet for some small strain on it as if they don't wash it by themselves, can you 30 RM for washing 1 Bedsheet where the cost of 1kg laundry is 5 RM, it's not about 30 RM, it's about cheating and charging from deposit taken, is this why they take deposits to look for a reason to not to return it back ? The room that i book was single bed, room was small but cozy. Room was clean and all basic amenities available. Can demand further with the location of just a 3 minute walk to reach Pavi. Looking forward to book this hotel again. Hotel is good but cleanliness need to improve alot. quite dissappointed with the cleanliness for this price. but location is very good. please update hotel's gps location. Gps location wrong for google map. its a comfortable cheap hotel. the room is clean, tooth brush, shampoo and shower gel provided. Well room with no window is a bit damp but its tolerable. I dont use the wifi so i dont know the quality. TV chanel is good. Spending time at night watching good movies. 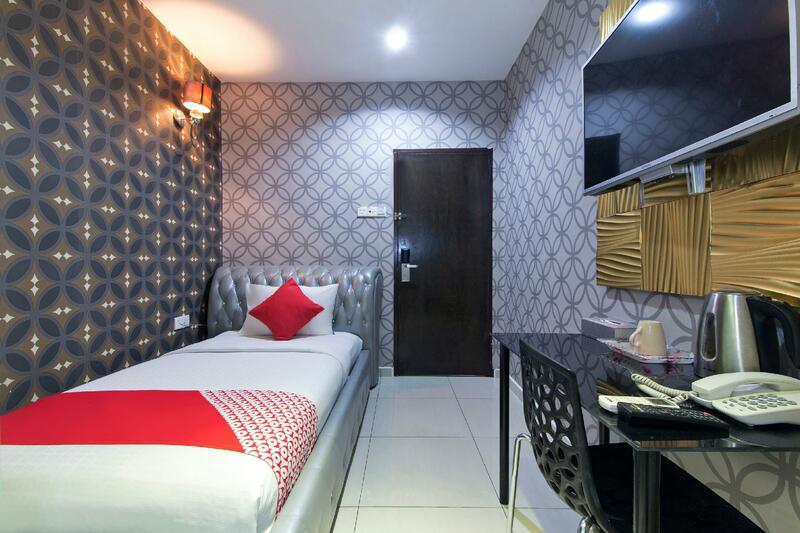 Location is good its near to the main malls and mrt station. There is cheap eating places nearby, 7 eleven. Worth budget hotel to stay. Helpful staff, located at centre of bukit bintang, easy to find. However cleanliness can be upgraded and maintenance need to be upgraded. Strategic location, located center of bukit bintang. Nearby malls. 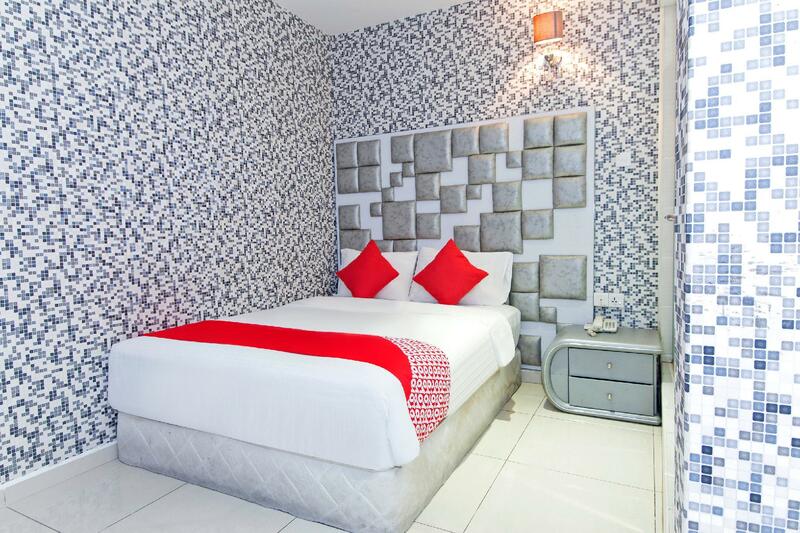 Just that cleanliness can be upgraded and some of the rooms need to be maintain.